Steven Russell (Jim Carrey) is happily married and a member of a local police force when a car accident causes him to reassess his life. Steven realises he’s gay and decides to live life flagrantly, even breaking the law if it gets him what he wants. 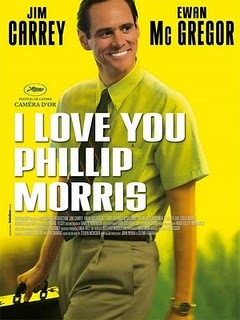 When he’s jailed for fraud, he falls in love with inmate Phillip Morris (Ewan McGregor). His obsession with freeing Phillip and their building a perfect life together, prompts Steven to attempt, and often succeed at one impossible con after another. For those of us who find Carrey often ‘too-too’, this is a stunning turn for him as an actor, a dream role that combines his old-school comedic tricks with an emotional honesty that feels genuine and earned. Directed by the writers of Bad Santa (John Requa and Glenn Ficarra), this is one of the blackest and funniest comedies of the year.